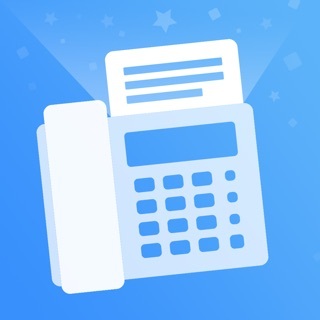 Scanner Pro is the best app for scanning and saving a digital version of a paper document. Scan any papers, ranging from a receipt to multi-page documents. Scanner Pro will automatically detect borders, correcting distortion and geometry. Share, email and upload your perfect scans. Use OCR to convert any scan into a text. Advanced color processing algorithms remove shadows, correct perspective and distortion, making your scans as readable as possible. Paper documents, receipts, checks, agreements, rentals, dashboards. Scanner Pro does a great job scanning all sorts of papers and digitizing them. You can even scan agreements and books into multi-page PDFs or JPEGs. 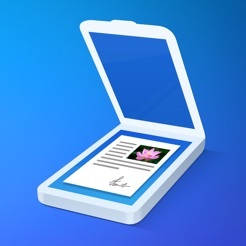 Create great-looking documents with original pictures, color stamps and signatures. Scanner Pro will automatically detect borders in real time, correcting distortion and geometry. You can also adjust the crop area manually, by tapping on the screen. Convert any scan into a text that can be selected and copied. Scanner Pro supports 21 recognition languages: English, German, Italian, French, Spanish, Russian, Portuguese, Dutch, Turkish, Polish, Swedish, Norwegian, Japanese, Simplified Chinese, Traditional Chinese, Czech, Danish, Greek, Croatian, Estonian and Ukrainian. Workflows allow you to perform multiple sharing actions easily. Send an email with a defined recipient, upload to Dropbox and save document to the required folder. Now you can perform all these actions in just one tap. “Scan Radar” automatically finds photos of documents and receipts in your Photo Library. Now you can use your favourite camera app to scan something and quickly find it afterwards in Scanner Pro. Just scan any document and tap the "Share" button. You can send scanned documents via email, export to Photos or open in any 3rd party application. With Scanner Pro you can also print your documents or even fax them. All your scans can be uploaded to Dropbox, Evernote, Google Drive, Box, iCloud Drive, OneDrive, OneNote or any other WebDAV-enabled online storage. Access to all your scanned documents on your iPhone, iPad and Mac. Scan a document on your iPhone or iPad and it will be uploaded to iCloud Drive automatically. Sync between all of your devices, and even view them on your Mac. Add a password to make sure only those you want to can open your document. Every change you make to your scans is kept track of as you make it. That means you can always go back and change or reverse an edit if you need to. Today’s update brings you a few new features and a number of “quality of life” improvements! Now you can send your scans to any messenger much faster with a new Share menu. Give it a try! No need to look for an alternative while sharing big scans. Select the preferred file size of scans before you email them or save to a cloud service. We hope you enjoy the update as much as we do! Looking to clear out some extra space in the bottom of your closet? You can start with all those boxes of receipts and documents, thanks to Scanner Pro. 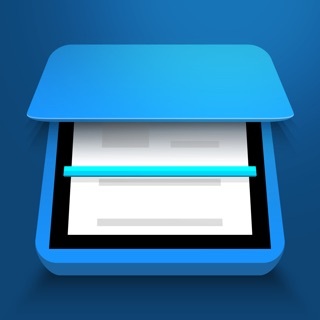 Convert PDFs into searchable text, merge documents and track receipts. With everything in your pocket, you’ll never need to take time out of the day to hunt down that important form again. I am one of your users and I am using Scanner pro on my iPhone. I have some suggestions and questions. 1. When I finish my scanning and I want to send the file to others directly using my iPhone, I cannot find the option "using the Airdrop" which I think is the most convenient way connected iPhones. This is question #1. 2. As a new comer to this app, I sometimes deleted files by mistake. Although the app can upload files onto the cloud storage, I still think there should be a place where we can find the files we've already deleted just like other products of yours, like PDF Expert. This can be really helpful especially when I have some important files. 3. The uploading works in a strange way sometimes that I can't understand. I always find the folders missing in my Onedrive and iCloud drive, and the files that supposed to be in those missing folders turns out to be in the primary folder. It's easy for me to delete some file in this way. 4. Still the problem of uploading. I think it better to let the files on my iPhone completely conform to ones on the Cloud disk. Sometimes I may scan one file several times to get the best one, and those files are all uploaded on to my iCloud so that I can't tell which one is the best when I open my iCloud. So the best way is that when I delete some files from my phone, they will also be deleted from my Cloud storage at the same time. I'll appreciate it if you can improve some of the problems in the next version. I have owned this app for years and generally switched between it and Scanbot to get the best scans. I just used it again for the first time in a few months today to scan a multi-page document and I am blown away. Under fairly poor lighting conditions (at nighttime under a yellow lamp) Scanner Pro gave me a perfect OCR scan of my document. Both pages were perfectly aligned, the edges of the pages were perfectly clean, the angle looked perfect, the crease in the paper was gone, and the pages looked perfectly white even though I took the scan under yellow tinted lighting. I tested the scan’s OCR by searching a few random words (in PDF Expert) and it worked perfectly. Wow - I don’t know what secret sauce Readdle has been infusing into this app lately but it’s miles ahead of where it used to be, even though it’s always been one of the top quality scanning apps in the App Store. Bravo, Readdle! Keep it up! PDF Expert and Documents have been invaluable apps to me; I hope Readdle keeps pushing forward.